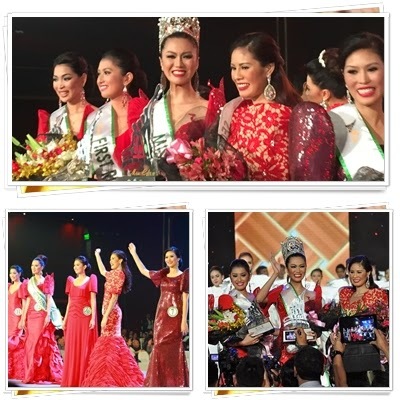 UP Grad Wins the Crown for Miss Cebu 2015! The Pacific Grand Ballroom of the Cebu City Waterfront Hotel and Casino was jam-packed with people who wants to witness the Coronation Night of Miss Cebu 2015 last January 15. It was my first time to attend a beauty pageant and I was overwhelmed with the energy and excitement around me. Candidate #12 Wynonah Van Joy C. Buot, was crowned Miss Cebu 2015 besting 11 other Cebuana beauties. She's a recent Mass Communications graduate from the University of the Philippines and exhibited an impressive performance during the Coronation night bagging all the Special Awards! She won Miss Photogenic by Ngenius, Best in Evening Gown, Miss Friendship by Waterfront Hotel and Casino, and Kapamilya Star of the Night. She took home PhP60,000 cash and an all-expense paid trip to Las Vegas Nevada, Korea, and HongKong.